4Videosoft DVD Creator is a professional tool to create DVD movies. 4Videosoft DVD Creator 5.0 was available as a giveaway on April 24, 2016! 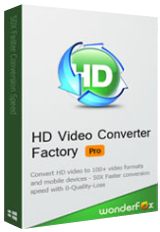 4Videosoft DVD Creator is a professional tool to create DVD movies. It allows you to burn DVD disc from movies in various video formats such as MP4, MOV, M4V, AVI, FLV, WMV, MTS, 3GP etc. Also, you can convert these videos to DVD folder/ISO file as you like. 4Videosoft DVD Creator has powerful editing function, which allows you to optimize your DVD movies. You can adjust video brightness, contrast, saturation, trim the video length, crop video frame and more. Moreover, you can add audio track, subtitles or customize the DVD menu for your video. 4Videosoft provides 50% off coupon code for all GOTD users: VIDEGOTD (apply to recommended products and other products). How would you improve 4Videosoft DVD Creator 5.0? 4Videosoft, may I suggest you proactively ASK GAOTD team to make make your informational posting sticky so it remains at the top as the first comment readable for the duration of the giveaway? If you do not it will get lost many pages below and almost never read by visitors and the questions on how do we register the program will likely continue to come and people will have to keep answering again and again until patience wears thin. 4Videosoft, I downloaded and ran setup.exe. This showed a small window confirming "successfully activated" and opened Firefox at a page "4Videosoft DVD Creator 5.0 activated — what next? ", but nothing happened after that - no program is installed. 1) disable the anti-virus suite and restart the computer. Make sure it won't start automatically with the computer. 3) Carefully follow the installation instructions in the readme.txt file. There should be no problems with the installation. Make sure you switch your anti-virus back on after the installation. Please mind that all the files are checked for viruses beforehand, so you may rest assured, the installation is 100% clean. Giveaway of the Day, many thanks - that worked! I now have your program. Roddy Young, That's strange. Windows 10 is not listed as being in the requirements. I wish we could add more titles on one menu page. I'm only allowed 3. That's going to be a lot of pages for small videos. And how about motion menus. I liked the layout of the menu making it easy to find things. You can't enter a bitrate value such as 5.5 Mbps but need to chose from 2,3,4,5,6,7,8Mbps. I'm not told what the original video rate is which would be useful when selecting a video bit rate. No way to change the thumbnail photo. If you add more than two videos then you can't see the thumbnails on the menu preview for the third video. I would have liked to be able to try out the menu by clicking on the menu icons to try it out before burning to DVD. So apart from these things it's good for general use for a quick and easy way to create video DVD's. I liked the layout of the menu making it easy to find things. There are a few things lacking such as note being able to place book marks where I want them. You can have bookmarks every 5 minutes You can't enter a bitrate value such as 5.5 Mbps but need to chose from 2,3,4,5,6,7,8Mbps. I'm not told what the original video rate is which would be useful when selecting a video bit rate. No way to change the thumbnail photo. If you add more than two videos then you can't see the thumbnails on the menu preview for the third video. I would have liked to be able to try out the menu by clicking on the menu icons to try it out before burning to DVD. So apart from these things it's good for general use for a quick and easy way to create video DVD's. Installed on Windows 10 with AVG, everything worked fine, even though I hadn't disabled the antivirus. This looks like a good product. Many thanks to 4Videosoft and GOTD! Installed on Windows 10 with AVG, everything worked fine, even though I hadn't disabled the antivirus. This looks like a good product. Many thanks to 4Videosoft and GOTD! This is a winner & easy enough for beginners. Had not a single issue with false "Red Flags" and that is rare, due to 360 picks out everything. Downloaded, installed, registered & delivered exactly as described with ease. Everything a person needs to smoothly made a home-made DVD that will impress all your made up facebook friends. Real friends will think your a Pro, I'm quite sure. I downloaded and installed the give away with no problems using Win7 and Microsoft Security Essentials anti-virus without disabling the AV. Lots of people complaining about problems with registration but few if any explaining which anti-virus, anti-key logger or OS they are using. If those of you will have had problems posted similar information it could maybe help was all. <b>Registration</b> Lots of people complaining about problems with registration but few if any explaining which anti-virus, anti-key logger or OS they are using. If this is reported it could possibly point to the culprit or culprits; never had any problems with the following:- OS, XP anti-virus, panda cloud anti-key logger,Rapport If those of you will have had problems posted similar information it could maybe help was all. I installed the program okay. But in the "Tools" "Preferences" it allowed me to change the aspect ratio from 4:3 to 16:9 but it did not allow any changes to the "Video Resolution" which is "NTSC 720x480" 720x480 is 4:3, not 16:9. It seems that needs to be changed also. Regardless their still strong sales, DVDs are considered passe by the people who create video discs for a hobby or a living, so there have not been any real advancements in DVD authoring software for several years. While many retail DVD authoring apps also do Blu-Ray, you can't re-create the same experience as found on retail Blu-Ray video discs -- that requires Java programing, & the software costs thousands -- so again not much in the way of advances. What has changed is that the devs at companies like 4Videosoft have gotten better with their [usually DVD Author based] DVD authoring apps. If you liked earlier versions of 4Videosoft DVD Creator, or similar, give it a try. If you lean towards freeware, DVD Styler. The biggest problem with DVD creation apps is that many use less than wonderful mpg2 encoders -- ffmpeg & similar do work, & unless you've used better you don't know how much better they truly are. In the US [& elsewhere with NTSC standard] MainConcept with the ability to do pulldown is among the best -- it's sometimes included but with few if any advanced features. That having been said, practically speaking, if you're limited to DVD discs vs. Blu-Ray, Blu-Ray on DVD will give you a much better picture than you'll get from most any video DVD. It does not require a Blu-Ray drive, though it does require a Blu-Ray capable player. It also requires some research &/or trial & error because while DVD discs are part of the Blu-Ray spec, few apps let you create Blu-Ray on DVD [I keep an older version of Sony's DVD Architect just for that]. The downside to 4Videosoft DVD Creator & many similar apps, besides the mpg2 encoder, is really just reduced creative flexibility. Do bear in mind that not all DVD burners, DVD blanks, burning software, & stand-alone players are equal by any means. There are brands/models of discs that won't work well with some burners &/or players. Sometimes the speed at which you burn has a huge effect, regardless the rating on the blanks. Sometimes a burner drive just won't work for most players -- some are not accurate enough, whether by fault or being worn out, but they're often less than $15 on sale to replace. If you're burning dual layer DVDs, use ImgBurn. Regardless their still strong sales, DVDs are considered passe by the people who create video discs for a hobby or a living, so there have not been any real advancements in DVD authoring software for several years. While many retail DVD authoring apps also do Blu-Ray, you can't re-create the same experience as found on retail Blu-Ray video discs -- that requires Java programing, & the software costs thousands -- so again not much in the way of advances. What has changed is that the devs at companies like 4Videosoft have gotten better with their [usually DVD Author based] DVD authoring apps. If you liked earlier versions of 4Videosoft DVD Creator, or similar, give it a try. If you lean towards freeware, DVD Styler. The biggest problem with DVD creation apps is that many use less than wonderful mpg2 encoders -- ffmpeg & similar do work, & unless you've used better you don't know how much better they truly are. In the US [& elsewhere with NTSC standard] MainConcept with the ability to do pulldown is among the best -- it's sometimes included but with few if any advanced features. That having been said, practically speaking, if you're limited to DVD discs vs. Blu-Ray, Blu-Ray on DVD will give you a much better picture than you'll get from most any video DVD. It does not require a Blu-Ray drive, though it does require a Blu-Ray capable player. It also requires some research &/or trial & error because while DVD discs are part of the Blu-Ray spec, few apps let you create Blu-Ray on DVD [I keep an older version of Sony's DVD Architect just for that]. The downside to 4Videosoft DVD Creator & many similar apps, besides the mpg2 encoder, is really just reduced creative flexibility. Do bear in mind that not all DVD burners, DVD blanks, burning software, & stand-alone players are equal by any means. There are brands/models of discs that won't work well with some burners &/or players. Sometimes the speed at which you burn has a huge effect, regardless the rating on the blanks. Sometimes a burner drive just won't work for most players -- some are not accurate enough, whether by fault or being worn out, but they're often less than $15 on sale to replace. If you're burning dual layer DVDs, use ImgBurn. Using Windows 10 and having Avast as my anti-virus program, this program installed successfully without any glitches. Haven't had an opportunity to try it out yet, but the menu seems to have all the features I'd need. Many of these giveaways are worth trying, knowing I can always delete it if I don't find it useful. Can this software Rotate videos. My biggest headache is when using camera in vertical format, I then have to rotate. Latest software sends result out of sync with audio. Viv Martin, the software does not seem to have such option in any tab, but I am not an expert in this field and there may be a more competent user to correct me. ONCE AGAIN ANOTHER DOWNLOAD THAT DOESN'T WORK! Downloaded twice won't install said program is corrupted. This site has great programs but, few of them ever work or install. MIKE I, it could be your antivirus. I know Kaspersky does that to my files from here & I switched to Norton. Now I do not get the corrupted files when I install. If its Kaspersky I have heard logging in safe mode with network resolves that issue. Might be worth a try. Kaspersky forums are full of how to get around this issue. Once I changed to my present AV I could install anything from here. Kaspersky & other antivirus must see the activate exe as some trojan or something? I don't know why they don't fix that though as its very annoying. Good luck! Tylicia, Many Thanks You nailed it! It Was The Exact issue I shut Down Kaspersky And it worked just find , Again Thank You. Baseed on my test, it seems to work as promised. I found one disadvantage (quite common amongst all DVD processing/burning software). Under option "Trim" the programme cannot cut out more than one episode from the movie. Actually I am looking for a software that can cut out a number of episodes from the movie and combine them into one single movie (with simple transitions between the episodes). Does anybody know a piece of software capable to do so for a reasonable price (i.e. Adobe’s huge packets, for instance, are beyond the size of my pocket)? Baseed on my test, it seems to work as promised. I found one disadvantage (quite common amongst all DVD processing/burning software). Under option "Trim" the programme cannot cut out more than one episode from the movie. Actually I am looking for a software that can cut out a number of episodes from the movie and combine them into one single movie (with simple transitions between the episodes). Does anybody know a piece of software capable to do so for a reasonable price (i.e. Adobe’s huge packets, for instance, are beyond the size of my pocket)? Marek, apart from transitions, this software can do what you want - just not how you want to do it. You can add the same title as many times as you want, and trim it differently for each "episode" and get the same results. Transitions may require more robust software, but the basic idea of trimming several bits from a single title can be achieved in this manner. Hope that helps! Marek, apart from transitions, this software can do what you want - just not how you want to do it. You can add the same title as many times as you want, and trim it differently for each "episode" and get the same results. Transitions may require more robust software, but the basic idea of trimming several bits from a single title can be achieved in this manner. Hope that helps! The editor function inside DVD Videosoft Studio Free Version does that nicely. Just select each of the parts to delete, then save the file and it will be saved without the selected parts. VSDC also does it but you must select all of the parts to delete before you close the edit window, which does the delete, as if you go back to the edit window a second time the program is confused about times within the file. If you just want to avoid looking at things like commercials, you can remove them from the DVD's playlist. There are a couple of apps at videohelp I think that can do that, or just set a chapter at the start & end of commercials, then edit the finished DVD in PGC Edit. If you want to remove scenes entirely, *IF* the video's already DVD spec mpg2 there are apps, free & paid, that can do so without re-encoding, though you will not get your transitions, e.g. Womble software. Sony's Vegas & Nero's video edit may let you splice the video as you want, add transitions, then only re-encode the changes during those transitions, but it doesn't always work. If you want to cut & splice and re-encoding is necessary [or you don't mind the time & quality loss from re-encoding], there are several free video editing apps that will work -- check out videohelp[.]com . Marek, If you just want to avoid looking at things like commercials, you can remove them from the DVD's playlist. There are a couple of apps at videohelp I think that can do that, or just set a chapter at the start & end of commercials, then edit the finished DVD in PGC Edit. If you want to remove scenes entirely, *IF* the video's already DVD spec mpg2 there are apps, free & paid, that can do so without re-encoding, though you will not get your transitions, e.g. Womble software. Sony's Vegas & Nero's video edit may let you splice the video as you want, add transitions, then only re-encode the changes during those transitions, but it doesn't always work. If you want to cut & splice and re-encoding is necessary [or you don't mind the time & quality loss from re-encoding], there are several free video editing apps that will work -- check out videohelp[.]com . Hi Coll, thanks for your kind reply and advice I will certainy follow and test. To be quite frank, I have never come accross mkvtoolnix, which shows how incompetent I may seem in this field. Thanks again. Hi Mike, first, thank you for your advice. In my case it is not the metter of nasty commercials. What I have on my desktop is a recording of several professionally filmed family scenes and I want to compile them into a comprehensive movie, which implies that meaningless etc. episodes should be removed. Your remark about Sony and Nero is confirmed by my experience. Thanks for directing me to videohelp.com and for your kindness and time. Hi Mike, first, thank you for your advice. In my case it is not the metter of nasty commercials. What I have on my desktop is a recording of several professionally filmed family scenes and I want to compile them into a comprehensive movie, which implies that meaningless etc. episodes should be removed. Your remark about Sony and Nero is confirmed by my experience. Thanks for directing me to videohelp.com and for your kindness and time. Hi Dave, thanks for your response. I think I need to re-examine DVD Videosoft Studio Free Version, because I got the impression that only one part to delete may be selected at a single session invoked by the Edit tab. Thanks for VSCD which seems perfectly convenient for my task. I will try both. I am really grateful for your advice. Hi Noah, thanks for your remarks. Yes, it is possible to work in the way you advised but, you’ll admit, it is somewhat tedious if you have several episodes to cut-off and combine. But I do appreciate your response. I rally do! Let me again extend my thanks to Noah, Dave, Kime and Coll who were kind enough to provide extensive advise to my question. This community appears to have really great and helpful members. your very welcome,I use this almost daily as both an encoding tool and for cutting larger home videos into smaller more manageable pieces,,,and mkvtoolnix has never steered me wrong.plus side to this is very little or no loss in the original quality....and it's is fast..only long part is the timing so you may split/cut exactly where you want...have fun and enjoy! Marek, your very welcome,I use this almost daily as both an encoding tool and for cutting larger home videos into smaller more manageable pieces,,,and mkvtoolnix has never steered me wrong.plus side to this is very little or no loss in the original quality....and it's is fast..only long part is the timing so you may split/cut exactly where you want...have fun and enjoy! Hi Coll, thanks a lot. I am sure I will! How does the Express compare to the Pro version? As I said there are many add ons for the program, the pro version has them included. The pro version is about $300 bux. Sometimes they have a special price if you have registered the Express version. I strongly suggest you view some of the many videos on their YouTube channel. Check out FilmRiot which has a video done with Express just to see what is possible. dan, As I said there are many add ons for the program, the pro version has them included. The pro version is about $300 bux. Sometimes they have a special price if you have registered the Express version. I strongly suggest you view some of the many videos on their YouTube channel. Check out FilmRiot which has a video done with Express just to see what is possible. This look to be same as many other DVD Crators, same look and settings and same problem to as that I not can get Subtitles in DVB format and teletext are not even showed in subtitle menu and I want to have subtitle on the movies I have record, and the reson why I want them on disc are coz of that I can´t get Dolby Digital to work another way, of course have I try mkv, but I not get subtiles there either, beside on few programs, but then has the subtitles been in very tiny format and it has been to the left on the screen in the middel and I have not see any way to change size or position? Mattias , Does the subtitle has the same name as the movie and are they in the same folder? For those of you worried about whether it will work on Win 10 or not, I installed it. Very easy installation and registration, one of the best. Works fine. Installed and activated flawlessly on my Win 8 64 bit system. Looks easy to use and am already trying to make my first disc using this software. Is it possible to resize or move the buttons and "framed" preview images? They are placed poorly in all the pre-set menus when I use my own custom image for the background (they hide bits of the image I would prefer to have showing). In the Customize Menu screen I can click on them and they get highlighted with an outline offering what look like resize "handles" but I can neither resize nor move the items! Is there a special key I should be holding down to move / resize these, or am I stuck with the locations and sizes given in the preset menus? I'll add a "blank, fully customizable, menu" option to the suggestions area here today as the placement of navigation elements is critical to good design! Thanks for this giveaway! I needed a DVD Burning Program that allowed adding subtitles since my last one did not. I hope you can help with my question since I often miss some obvious things. Installed and activated flawlessly on my Win 8 64 bit system. Looks easy to use and am already trying to make my first disc using this software. Ran into one issue customizing the menu though... Is it possible to resize or move the buttons and "framed" preview images? They are placed poorly in all the pre-set menus when I use my own custom image for the background (they hide bits of the image I would prefer to have showing). In the Customize Menu screen I can click on them and they get highlighted with an outline offering what look like resize "handles" but I can neither resize nor move the items! Is there a special key I should be holding down to move / resize these, or am I stuck with the locations and sizes given in the preset menus? I'll add a "blank, fully customizable, menu" option to the suggestions area here today as the placement of navigation elements is critical to good design! Thanks for this giveaway! I needed a DVD Burning Program that allowed adding subtitles since my last one did not. I hope you can help with my question since I often miss some obvious things. WOW, so easy to install and name and S# automatically there. I went to "tools/preferences/autoupdates" and un-checked. Thanks captain drewi for that precautionary hint. Desktop looks well designed. Appreciated. Nice features. I like being able to customize the menu. I will leave feedback to software developers for a fit-to-disc option to allow the software to fit videos that exceed disc capacity. I've seen this feature on other DVD Creator software. Even though it degrades some of the video quality, I've found it does not degrade it too poorly. Other than that, good software product.
" I will leave feedback to software developers for a fit-to-disc option to allow the software to fit videos that exceed disc capacity." If the video's too much larger you have to re-encode using a lower bit rate -- BTW a good mpg2 encoder lets you set minimum, average, & maximum bit rates, so you use less compression, & more space, only when you have to, e.g. with a high action scene. And of course there's always dual layer, plus in a pinch you can also try stuff like reducing the frame size [720 x 480 or 576 is not the only size in the spec]. If you live where they use NTSC, you can sometimes also benefit from using 24 fps & pulldown -- flags in the mpg2 file tell the player which frames to repeat to get from 24 fps to 29.976. Finally, if it's very close to fitting, try the old but free DVD Shrink. DVD mpg2 uses key frames, plus frames holding partial [rather than full frame] data on what changes before & after. If it's close enough to fitting [DVD Shrink will show a number in the 90s], Shrink will just delete some of that partial data to make it fit. And with Shrink's built-in filtering, the result may even look better than the original you input. Carl, <i>" I will leave feedback to software developers for a fit-to-disc option to allow the software to fit videos that exceed disc capacity. "</i> If the video's too much larger you have to re-encode using a lower bit rate -- BTW a good mpg2 encoder lets you set minimum, average, & maximum bit rates, so you use less compression, & more space, only when you have to, e.g. with a high action scene. And of course there's always dual layer, plus in a pinch you can also try stuff like reducing the frame size [720 x 480 or 576 is not the only size in the spec]. If you live where they use NTSC, you can sometimes also benefit from using 24 fps & pulldown -- flags in the mpg2 file tell the player which frames to repeat to get from 24 fps to 29.976. Finally, if it's very close to fitting, try the old but free DVD Shrink. DVD mpg2 uses key frames, plus frames holding partial [rather than full frame] data on what changes before & after. If it's close enough to fitting [DVD Shrink will show a number in the 90s], Shrink will just delete some of that partial data to make it fit. And with Shrink's built-in filtering, the result may even look better than the original you input. Mike, Thank you for the response. I will explore the options you suggested. Remember to untick automatic updates in preferences as its possible you can loose your full version by an unprompted update. When trying to install the software, all I receive is a "software activated" popup screen and then the "software activated" GOTD web page. However software is not installed. Norton Internet Security then informs me that a threat existed and was removed from setup.exe file. Suggestions? Ok, I see the solution in a previous post. So I will try that procedure. That procedure worked. Thank you. Again another program I can't install!!!! Turned off firewall. Downloaded to a specific folder. Unzipped to the folder. Clicked on the setup executable and it goes straight to activation without installing then gives the same old tired message - 'setup.exe has stopped working' . Getting very tired of this and have missed a number of desired programs because of it. Any help from the developers would be a appreciated and can GOTD explain why this keeps happening? Again another program I can't install!!!! Turned off firewall. Downloaded to a specific folder. Unzipped to the folder. Clicked on the setup executable and it goes straight to activation without installing then gives the same old tired message - 'setup.exe has stopped working' . Getting very tired of this and have missed a number of desired programs because of it. Any help from the developers would be a appreciated and can GOTD explain why this keeps happening? I'm running Win7 Ultimate. Giveaway of the Day, thanks - I thought it was a firewall issue but it was my anti-virus as you said which caused the problem when I unzipped the file. Cheers. It does not know about the small DVD discs DVD 1.4G so cannot easily be used to create discs of the smaller form factors. It only knows 4.7G and 8.5G. I downloaded via email the link and when I try an install the software it goes straight to the GOTD activation splash screen without installing the product why??? Come on GOTD what's happening?? Well GOTD it happened again, in fact nearly every time for me.... I downloaded via email the link and when I try an install the software it goes straight to the GOTD activation splash screen without installing the product why??? Come on GOTD what's happening?? Easiest installation and registration ever! (My computer is Win7x64bit.) This software will be very useful to me, as I recently had some old 8mm films converted to digital, but I have a ton of editing to do on them before they're truly watchable. Thanks so much, GAOTD and 4Videosoft! The DVD Creator allows to trim the video length and crop the video frame，more interesting dvd menue templates can be downloaded. I'm using it right now and my DVD is coming soon. Really exicited that I can find this software, and it's free! Many thanks. Installation and registration a breeze as the codes automatically filled in. It opens up to a really pleasing interface that is very simple to use with decent functions available. These include the ability to edit the video and the audio and the output choice is directly to DVD, DVD folders or IOS file. Decided to test with a poor quality video in that it is too dark and the volume too low; these I modified using the edit functions for both video and audio. My 23 MB video was converted to a DVD of 88 MB, it took about 10 min. Very pleasing piece of software and probably the best I have used of this type, but that was a long time ago has rarely make DVDs today. Now find tablet with HDMI output and an SDcard slot a much better option in both quality and storage space. If you do need a DVD creator this is a first rate download. Installation and registration a breeze as the codes automatically filled in. It opens up to a really pleasing interface that is very simple to use with decent functions available. These include the ability to edit the video and the audio and the output choice is directly to DVD, DVD folders or IOS file. Decided to test with a poor quality video in that it is too dark and the volume too low; these I modified using the edit functions for both video and audio. My 23 MB video was converted to a DVD of 88 MB, it took about 10 min. Very pleasing piece of software and probably the best I have used of this type, but that was a long time ago has rarely make DVDs today. Now find tablet with HDMI output and an SDcard slot a much better option in both quality and storage space. If you do need a DVD creator this is a first rate download. It's a helpful DVD tool. I use it to burn a DVD disc in a MP4 video, and the DVD created is compatible with my DVD player. The DVD creator is not bad. Recommend it. Will only work on systems up to Windows 8 not worth downloading it. Kraps, Have you tried it on windows 10 ? I'm sure it will work. Kraps, Installed this on two Win Ten Pro 64 bit machines in 20 minutes!